Charlie Flanagan is the Minister for Justice and Equality. He was appointed to this role on 14 June 2017, having previously served as Minister for Foreign Affairs and Trade. He was Minister for Children and Youth Affairs for a period in 2014.
a senior role in advancing Ireland’s strategic interests in the period leading up to the triggering of Article 50 and the establishment of the EU negotiating directives in respect of the UK’s withdrawal from the EU. 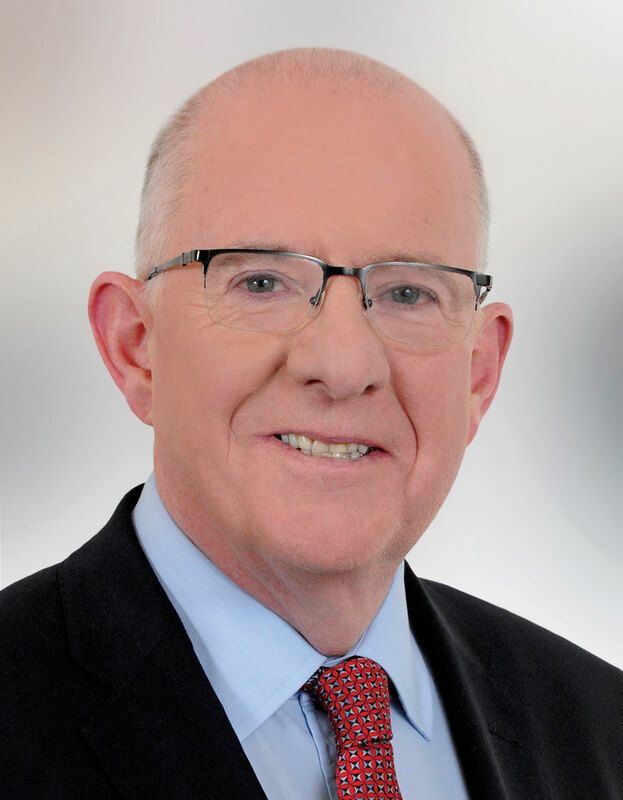 Charlie Flanagan was first elected to represent Laois-Offaly (now the constituency of Laois) in Dáil Éireann in 1987 and was a member of Laois County Council from 1987 to 2004. His father, Oliver J. Flanagan TD, represented Laois-Offaly from 1943 to 1987 and served as Minister for Defence (1976-1977), Parliamentary Secretary to the Minister for Defence (1975-1976) and Parliamentary Secretary to the Minister for Agriculture (1954-1857). Charlie Flanagan served as Chairperson of the Fine Gael Parliamentary Party 2011-2014 and was the leader of the Fine Gael group at the Constitutional Convention. He served as Fine Gael Chief Whip 2000-2002 and was the Party’s spokesperson in a diverse range of portfolios during his career as a TD including Health and Enterprise, Trade and Employment. During the 30th Dáil he was Fine Gael Front Bench Spokesperson on Children and Youth Affairs (2010-2011) and Justice, Equality and Defence (2007-2010), playing a very active role in contributing to legislation and Fine Gael policy. He was Fine Gael Spokesperson on Northern Ireland from 1997-2000 and Vice-Chair of the British-Irish Parliamentary group from 1997 to 2000. He chaired, inter alia, the Oireachtas Sub-Committee on Legislation and Security (1994-1997) and served as Vice-Chair of the Oireachtas Joint Committee on Women’s Rights (1995-1997). A qualified solicitor who practised law for many years, he has published draft bills and amendments in a range of legislative areas including Competition Law, Corruption, White Collar Crime, Fraud and Bribery. He was educated in Knockbeg College, University College Dublin (BA degree in History and Politics) and the Incorporated Law Society of Ireland. Born and raised in Mountmellick, he now lives in Portlaoise with his wife Mary. He has two daughters, Olwyn and Sophie. Minister for Justice and Equality Charlie Flanagan has called on the people to vote yes to remove the crime of blasphemy from our Constitution next week. I am pleased that the the intensive engagement by the Government with our EU partners has resulted in Ireland's concerns being reflected prominently in the EU's position for the upcoming Brexit negotiations as adopted by the European Council today. The Minister for Foreign Affairs and Trade, Mr. Charlie Flanagan TD, today launched the new Online Passport Application Service. This new service that will allow adults to renew their passport books and cards online wherever they are in the world.